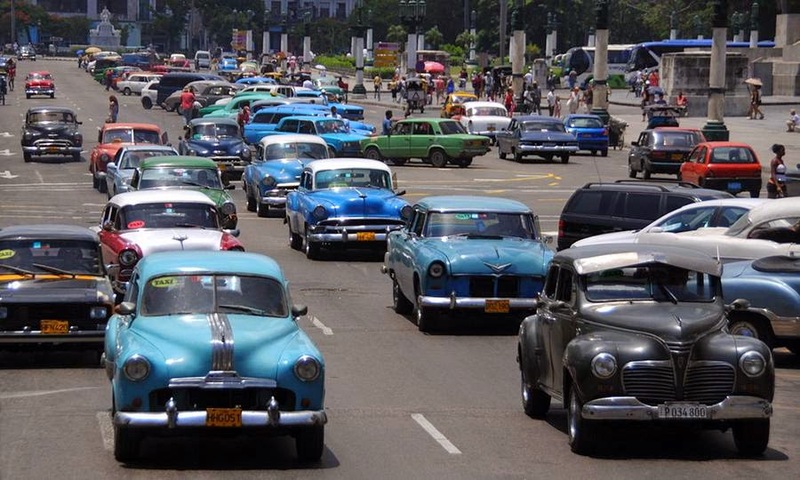 Recently the US announced that it would relax some of the restrictions that prohibit trade between American and Cuba. Since the embargo began more than 50 years ago, Cuba has been sort-of "frozen in time." 1950's American sedans rule the streets. The beaches are pristine. As the embargo is relaxed, Americans will probably be able to invest in Cuba's economy. Once that happens, massive change will happen in Cuba. This is a good thing, but it will mean that over time, those old America cars will be replaced by Toyotas and Malibus. The beaches will become crowded with tourists. I'd like to go visit, before that happens.